Growing up, Kaitlyn King always had a book in hand. As she got older, she dreamed of writing her own stories. 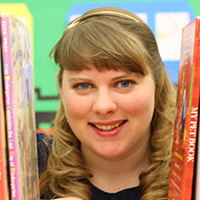 Kaitlyn holds a BA in Elementary Education and an MA in Writing Children’s Literature. She is currently living in her hometown of Woodland, Ca, with her husband, and is following her dreams of becoming an author.